One day, if I write a spy story in Nazi-occupied Paris, with a bright young heroine named . . . maybe her name doesn’t matter, but I would definitely write a scene where she escapes over the rooftops exactly as Jean-Pierre Gibrat’s heroine, Jeanne Cadrieux, does in Gibrat’s two-volume bande dessinnée titled Le Vol du Corbeau (The Flight of the Raven) [Aire Libre Dupuis, 2002]. By the way, Le Vol du Corbeau is a sequel to Gibrat’s, Le Sursis, which tells the story of Jeanne’s sister, Cécile. Gibrat is the unquestioned master of setting. 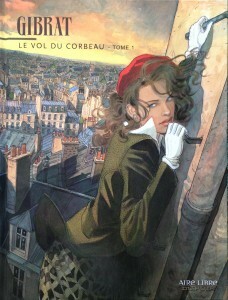 Volume 1 of Le Vol du Corbeau takes place mostly on the rooftops, among the chimney breasts of Paris’s ubiquitous Mansard roofs. Volume 2 is set largely on the river, aboard one of the Parisian barges that sail up and down the Seine. Volume 1 of Le Vol du Corbeau begins with Jeanne in jail. She has been reported for black market (marché noir) activities and the police have searched her apartment and have discovered a cache of weapons. Jeanne is working for the French Resistance. While the local police chief ponders whether or not to hand her over to the Gestapo, a burglar named François Michaud is tossed into Jeanne’s cell. François helps her to escape and the two of them flee over the rooftops. François then takes her to his friends, who own a barge. They sail away from Paris. Complication of Volume 2: A German soldier is stationed on board the barge. Further complication: Jeanne shoots him when he tries to force himself upon her. What to do with the body? It is never good to tell an ending. Please read the book. It is well worth it. [Only available in French, I believe.] Those who would like to see Jeanne and her sister, Cécile, reunited will not be disappointed, neither will those who would like to see Jeanne and François become lovers. Their country was likely doomed and within the month, or several months at most, they would almost certainly be dead. And still they volunteered. In the early days of the Second World War, the young men of Britain’s RAF Bomber Command took to the skies in obsolete aircraft and, night after night, flew out over Germany and Nazi-occupied Europe. The damage they inflicted was insignificant. They message they delivered was monumental: It told the enemy and the neutral countries of the world and also those countries of Europe that had succumbed to Hitler’s Blitzkrieg that Britain was still in the fight and was striking back. 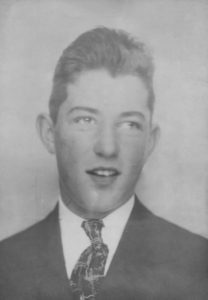 In 1941, Flight Sergeant Leslie Mann was such a young man. 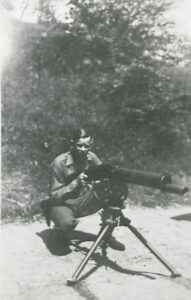 He was a tail gunner in an Armstrong Whitworth Whitley twin-engine bomber. The Whitleys were awkward-looking planes that were out-of-date before the war had even started. They had none of the caché of the later Wellingtons or the fame of the Lancasters, Halifaxes, and Stirlings that were to put in solid service nearer to the end of World War II. 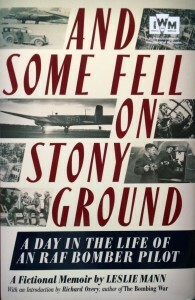 Leslie Mann’s plane was shot down over Dusseldorf and, after the war ended, he described his experiences in a fictional memoir that remained unpublished until 2014: And Some Fell on Stony Ground:A Day in the Life of an RAF Bomber Pilot—A Fictional Memoir by Leslie Mann (Icon Books in Association with Imperial War Museums, 2014). British historian Richard Overy has written a masterful introduction. A series of striking photographs add value to the book and reveal that author was an eye-catchingly handsome man, even Clark-Gable handsome. 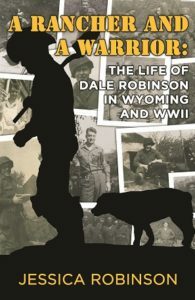 His text dispels, in the first few pages, the fiction of the glamour of war. Leslie Mann’s book is about the everydayness of war, the drudgery of war, the routine, the cold, the exhaustion, the moments of terror, the fear of disfigurement. ‘The sky could kill him whenever it wanted to,’ muses Pilot Officer Mason, who is Mann’s fictional hero (or anti-hero, as Richard Overy shrewdly puts it). 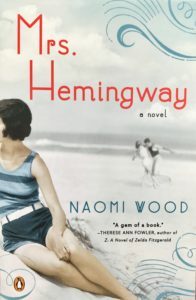 The book has its touching moments: the scene at the shop where the woman behind the counter takes pity on Mason and sells him a pack of ‘under-the-counter’ cigarettes, or at the dance when Mason notices the ‘girl in green’ but sees no point in pursuing her, realizing that he does not have the luxury of a future. Above all, the book is marked by its realism, the fiery crash that kills Mason’s friend, Ken, the nightmarish take-off and engine trouble that caused Mason’s plane to turn back and crash-land near the Pennines, the attack on the German oil refinery ‘…the aircraft stalled and hung in mid-air, then lurched horribly…’—all authentically described by a man who was actually there.